A local legislator has decided to call it quits. Del. 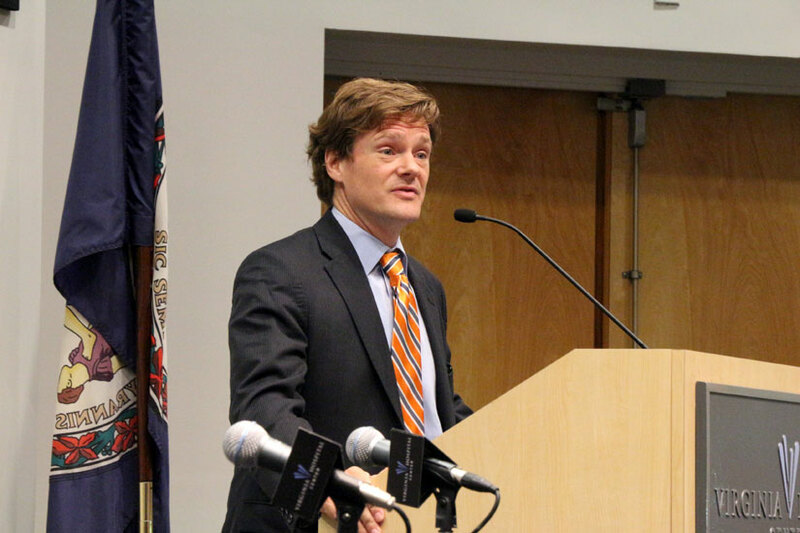 Rob Krupicka announced in an email to his campaign’s mailing list that he would not seek re-election this fall, leaving the 45th House of Delegates District as another open race on the November ballot. Last year, according to the Washington Post, he opened a location of Sugar Shack Donuts in Alexandria. In his announcement, he said running the business, along with his family and legislative obligations, was too much to take on. Krupicka was elected in a special election in 2012 after his predecessor, David Englin, resigned amid his admission of marital infidelity. Krupicka was re-elected in November 2013 and is retiring after just one full term. Krupicka served as an Alexandria City Councilman and on the state Board of Education before being elected to the House of Delegates. The 45th District covers parts of southeast Arlington, a large swath of Alexandria and a portion of Fairfax County. Before Krupicka won the 2012 special election, he lost in a Democratic primary for the seat of state Sen. Adam Ebbin in 2011. Ebbin (D-30) released a statement following Krupicka’s announcement this afternoon. Krupicka’s full announcement, after the jump. Serving the people of Alexandria, Arlington, and Fairfax has been one of the greatest honors of my life. For the past 12 years, I have had the chance to serve as an elected official in one of the most vibrant, diverse, civically-engaged places in the United States. It is always humbling to talk to my constituents because they always know so much about so many issues and they always teach me something. Coming back from session this year, I was forced to evaluate the number of hours in the day and how I fill them. Between business, family, and public service, it is clear that I’m burning more candles at more ends than I can sustain. I have a growing business with employees and investors that depend on me—a business that gives me a chance to put my values into action by supporting local non-profits, promoting a strong wage, and by giving people a second or third chance to get on their feet. I have also spent time in the last weeks reflecting on the fact that my family has tolerated me missing a lot due to public responsibilities. Having spent over half of my adult life involved in public service in some way or another, it is time for me to step back from elected life to focus on my growing business and on my family. I don’t like to do anything halfway and the demands on my time make it impossible for me to be the engaged, active public servant that I have always tried to be. I believe in Virginia’s part-time public service model. It is designed to minimize politics as a career and to give a variety of people the chance to serve and better the Commonwealth. It also inevitably creates conflict with an individual’s family, financial, and career needs. After 12 years, that conflict has become too stark for me. There are many good people who have the time and passion to serve the 45th district well. I know the district will be well-served by whomever holds the 45th district delegate seat. It will take years to say thank you to all my friends and family that have enabled my service and supported me over the years. You all put up with the all too frequent requests to volunteer or donate and much more. I know our work together has left things a bit better than we found them. I know we have more to do. I am looking forward to finishing my term, with a focus on my early childhood work, and then continuing civic activities and working with all of you through my business and as a community volunteer. New Brewery Coming to South Arlington?